The American Revolution was not only a revolution for liberty and freedom, it was also a revolution of ethics, reshaping what colonial Americans understood as "honor" and "virtue." As Craig Bruce Smith demonstrates, these concepts were crucial aspects of Revolutionary Americans' ideological break from Europe and shared by all ranks of society. Focusing his study primarily on prominent Americans who came of age before and during the Revolution--notably John Adams, Benjamin Franklin, Thomas Jefferson, and George Washington--Smith shows how a colonial ethical transformation caused and became inseparable from the American Revolution, creating an ethical ideology that still remains. 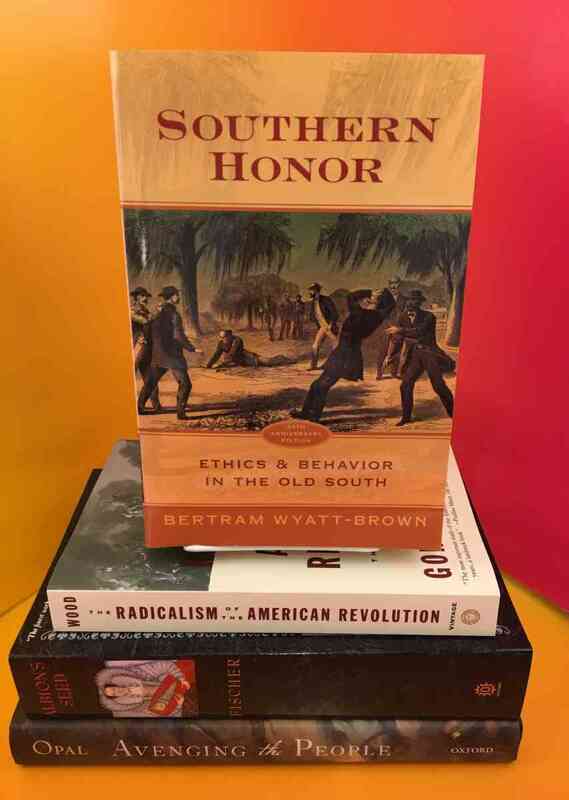 By also interweaving individuals and groups that have historically been excluded from the discussion of honor--such as female thinkers, women patriots, slaves, and free African Americans--Smith makes a broad and significant argument about how the Revolutionary era witnessed a fundamental shift in ethical ideas. This thoughtful work sheds new light on a forgotten cause of the Revolution and on the ideological foundation of the United States. Craig Bruce Smith will discuss American Honor: The Creation of the Nation's Ideals During the Revolutionary Era on Saturday, January 12 at 3pm. About Craig Bruce Smith: Craig Bruce Smith is an Assistant Professor of History and the Director of the History Program at William Woods University. He earned his PhD in American History from Brandeis University. His specialization is in early American cultural, political, and intellectual history during the Revolutionary era, specifically looking at ethics, national identity, and transnational ideas. In addition, he has broader interests in colonial America, the early republic, leadership, the Atlantic world, military history, and the American Founders. He is currently working on his next book project, The Greatest Man in the World: A Global History of George Washington, which is the first to examine Washington as a world figure, rather than one that was exclusively American.